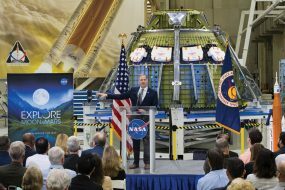 Johnson Space Center quietly marked the 50th anniversary of its opening in September as a government shutdown loomed and became a reality on Oct. 1. Instead of a celebration, thanks to Congress, employees made preparations for the shutdown — a far cry from its opening in September 1963 that drew a crowd of 52,000, including President John F. Kennedy, who also make his famous Rice University speech that day. But it hasn’t always been that way. There was a time when local residents were dancing in the streets after an especially successful space mission — man’s landing on the moon. And, one could always count on parties at a space launch and touchdown parties after a successful mission. The 1,620-acre tract on which JSC sits was picked out as the Manned Space Center site in July 1961 by NASA Administrator James E. Webb and the space agency’s selection team. To be the primary center for U.S. space missions involving astronauts. Construction of the center, designed by Charles Luckman on land donated by Rice University, began in April 1962 by the U.S. Army Corps of Engineers. The Space Task Group, charged with overseeing the manned spaceflight program and headed by Robert Gilruth, included Gilruth’s deputy, Charles Dolan; Max Faget, head of engineering; his deputy, John Lee; Chuck Mathews, head of flight operations; Chris Craft, who later became the JSC director and for whom Mission Control is named; and a young 21-year-old named Glynn Lunney. John “Shorty” Powers was head of the public affairs office. 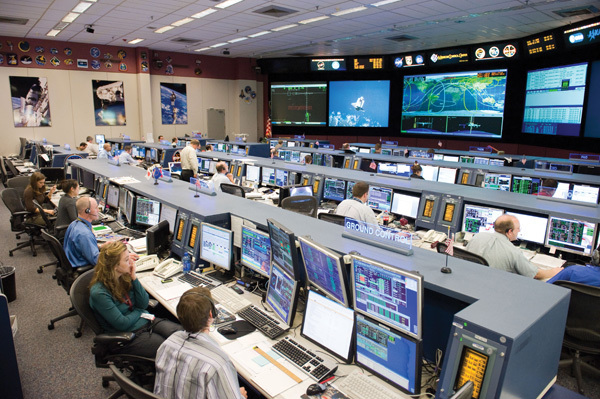 Today, JSC has 3,200 civil servant employees, 12,000 contractor employees, more than a hundred buildings and is home to NASA’s astronaut corps, the world’s largest swimming pool – even a herd of Longhorn cattle.